International Achievement of Lung Acoustics Laboratory (BU-LAL) | Boğaziçi University Electrical & Electronics Engineering Dept. BU-LAL team competed against 18 international teams and has won the first place in the scientific challenge on “Respiratory Signal Processing”, which lasted from February 1st to October 1st, 2017 and was sponsored by the International Federation for Medical and Biological Engineering (IFMBE). 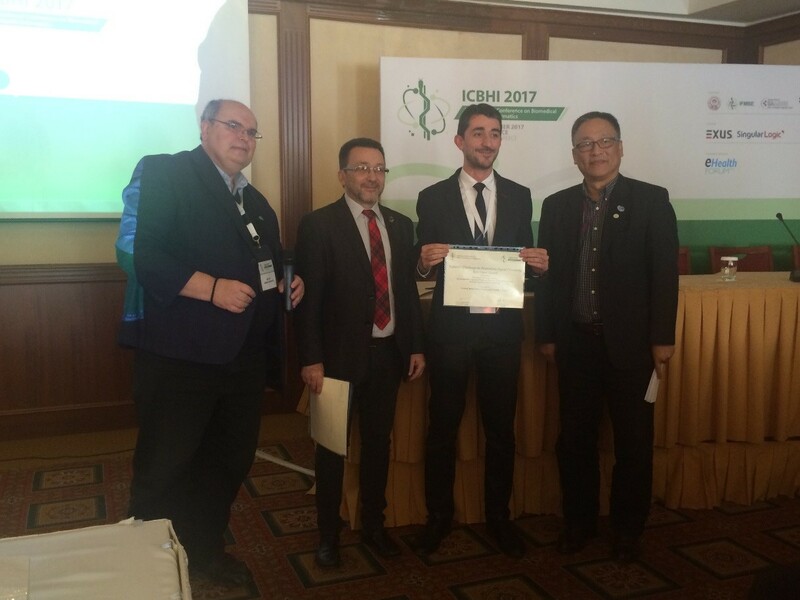 First position at the Respiratory Sound Processing Challenge and Scientific Challenge Best Paper Award was awarded to the recent PhD graduate Dr. Sezer Ulukaya on behalf of Dr. Görkem Serbes and his PhD Thesis Supervisor Prof. Dr. Yasemin P. Kahya in the International Conference on Biomedical and Health Informatics (ICBHI 2017) which was held from 18th November to 21st November 2017 in Thessaloniki after presenting the paper “An Automated Lung Sound Preprocessing and Classification System Based On Spectral Analysis Methods”. Lung Acoustics Laboratory (LAL) is a research laboratory in the Electrical and Electronic Engineering Department, where researchers from different disciplines come and work together. Main areas of research conducted in LAL involve both hardware development for lung sound acquisition and diagnosis instrumentation and algorithm development for further processing of acquired lung sounds with the final aim of building an “intelligent stethoscope”. Some of the current topics in LAL are online processing and classification of respiratory sounds using digital signal processors, multi-resolution analysis of respiratory sounds, detection of adventitious lung sounds, system development for multi-channel acquisition of respiratory sounds and modeling air flow-lung sound relationship, integrating mobile technologies in lung sound analysis.